Making your payroll management process quicker and more efficient is doable – all it takes is a smart strategy and the dedication to improve your system. The outcome will be a better payroll management solution that not only saves you time, but also money that can be put back into your business. Do you have a bunch of different pay schedules that don’t align? Maybe you pay permanent employees once a fortnight while casual employees get paid weekly. It might have seemed like a good idea at the time, but multiple payment processes can make your financial operations inefficient. Minimising pay cycles by combining them all into the same schedule means you won’t have to worry about duplicating payments or causing errors. Once everyone is on the same plan, your payment schedule will be easier to maintain while maximising efficiency. Thanks to online solutions, there are so many options for finding the perfect payroll software for your business. Don’t rely on pen and paper anymore – take advantage of state-of-the-art payroll technology that can ensure greater accuracy and reduce time spent on data entry and processing. Using a solution that integrates with your payroll software can mean you sync your employees’ pay rates immediately – no wasted time, and no possibility of entering the wrong rates into your system. Using payroll software is an easy way to ‘go green’, as well as to reduce the cost of supplies, speed up payment operations and – most importantly – keep all your data secure. Get rid of paycheques, written-out timesheets and paper pay stubs. Using an online solution is an easier way to manage your payroll while doing your part for the environment. As a small business owner, you’re already well aware of how important it is to stay on top of your finances. And in much the same way, understanding your tax obligations is vital to maintaining a healthy cash flow. If you’re unsure about anything, don’t wait until the end of the financial year to ask questions. 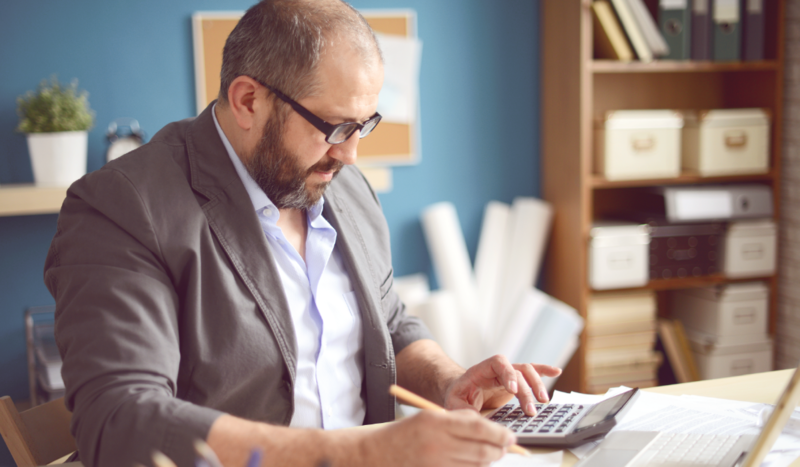 Speak to your accountant or financial advisor, or do a bit of solo research on the ATO’s website – there’s heaps of information about small businesses, their tax obligations and a range of concessions to take advantage of. Get clarity on the ins and outs of your payroll requirements to avoid any costly mistakes or delays. Too much trouble? Outsource it! Winning new customers, hiring and training seasonal employees, managing payroll – it’s no wonder small business owners are always on the move. We understand that there are already too few hours in the day, which is why it might make sense for you to outsource your payroll to the professionals. If you don’t have the time or resources to manage your business’s payroll on your own, hiring someone to do it for you can offer heaps of benefits. Not only can you win back those hours spent calculating payments and making transactions, but you can also rest easy knowing the people managing your payroll are experts in tax and your legal requirements. With nearly half (47 per cent) of all businesses outsourcing their payroll, according to Robert Half, it could be the best solution for a time-strapped owner. Managing payroll may seem like a small part of your job, but it can actually have several knock-on effects if not managed properly. By making it an efficient and speedy process, it can free up a few hours every week and keep your team happy knowing they will always be paid correctly and on time. The post 5 quick hacks for better payroll management appeared first on Deputy. Editor’s note: This post was originally published in September of 2017 and has been updated for accuracy. Managing payroll can be one of the most time consuming and error-prone challenges facing business owners today. With labor regulations and litigations on the rise, payroll errors can also be costly to the business. After all, over 40 percent of businesses are fined over $850 annually for payroll mistakes. Pair that with employee churn due to payroll errors and costs can skyrocket. It’s important to have a plan for payroll when onboarding employees. Lucky for you, payroll doesn’t have to be difficult. All it takes is a little bit of preparation and with the right software, you can easily automate the payroll process. After you hire your employees, the next step is to add them to your business’ payroll system. The least expensive way to go about this is to do payroll manually. If you’re tax savvy, this DIY approach may also come naturally. However, given the multitude of human errors that can happen, make sure you are comfortable with everything you need to do before diving in. Such as an Employer Identification Number (EIN), tax rates, state tax accounts and numbers, state business registration number, and Electronic Federal Tax Payment System (EFTPS) account for paying federal taxes. In order for employees to get paid correctly, they must fill out a number of forms. These forms that employees need to fill out are typically the W-4, I-9, and a direct deposit authorization form. Doing payroll manually can take up a lot of time. You have to do all the calculations, distribute wages, and taxes. Check out this article for tips on calculating employee’s net pay. It is your responsibility for each employee to be paid properly and on time. Distribute your employees pay with your preferred method such as checks, direct deposit, or cash. Another part of your payroll responsibilities includes collecting, remitting, and filing payroll taxes at the end of each pay period. These taxes include federal income tax, federal and state unemployment taxes, and social security and Medicare taxes. Read this article for more tips on getting your small business ready for tax season. Lastly, make sure to send in your employer federal tax return and any other tax forms due at the end of the quarter. At the end of each year, be sure to have your W-2s ready as well. However, these professionals come with a cost. In fact, this is the most expensive method. Before you jump into signing a contract with an accountant or bookkeeper, make sure you do your research and, most importantly, make sure you have the budget for this method. This is probably the most popular method for how to do payroll. It’s more expensive than doing payroll yourself but significantly less expensive than hiring an accountant or bookkeeper. With payroll software, you remain in constant control during the entire payroll process. Companies like Gusto, Square, Xero, and ADP are popular payroll services that can take care of the financial aspects of your business. For the complete list of Deputy’s top pick for payroll providers, check out this article. Federal, state, and local tax regulations and guidelines are always changing. It is vital for companies to stay compliant with these laws and regulations in order to avoid costly penalties and even lawsuits. Correctly calculates what your employees are getting paid and avoids any human errors. Such as employee management or HR software for streamlining communication, tasking, reporting, and other business tasks that can be automated. This is a great tool for distributing employee pay. Most employees expect their employers to offer this feature since physical checks and a trip to the bank are no longer required. Receive notifications of any flagged issues in the payroll system. It should also send notifications when employees are approaching overtime. Employees are able to view and manage their personal payroll data online. This streamlines the data keeping process, as it eliminates the need for back-and-forth communication between employees and their employers. So, what can businesses do to avoid making mistakes on their payroll? From the moment a new employee is hired, take the time to correctly document all employee information to prevent payroll issues in the future. Create verification processes for both employees and managers to confirm that new employees have correctly entered their name, social security number, bank account deposit number, deductions for benefits and 401(k), and have accurately filled out their information on their tax forms. to ensure the employee has verified the information. Make sure your current employees are also following a tight process for updating their information such as changes in their address, marital status, and tax deductions. A best practice is to set up quarterly reminders for all employees to confirm that nothing has changed in their employee information. Be sure to also keep your employee job descriptions updated as well to protect your business from misclassifying your workers. To prevent the most frequent and costly mistake — payroll taxes — take the time to stay abreast on the latest federal, state, and local tax laws. This includes making sure your business is correctly reporting employee income tax withholdings, unemployment taxes, and classifying employees correctly (e.g. exempt vs. nonexempt, employee vs. independent contractors) to prevent wage and hour lawsuits. Make certain you’re also paying your payroll taxes on time (every payday) to avoid heavy penalties and interest charges. Additionally, to protect your business from a potential lawsuit of back pay claims of unpaid hours worked, properly track and document your employees’ time worked for a minimum of 3 years of payroll. Document all hourly wages, daily and weekly hours worked, total earnings, and overtime pay. Automated time tracking tools can help to accurately keep track of employee hours worked while formally documenting it for potential future evidence. Consider also outsourcing to an accounting or a payroll company to ensure tax payments are made on time and the complexities of the local, state and federal mandates are properly managed so your business can stay compliant. There are many common human errors business owners can make when managing payroll. These can include giving an employee a manual check (e.g. as a bonus or award) and forgetting to record it on payroll, incorrectly calculating hours worked thus underpaying or overpaying your employees, miscalculating PTO, and the many tax reporting mistakes listed in tip #2. Processing payroll manually increases errors because you’re pulling info from many different sources such as Excel spreadsheet tabs, tax info, timesheets, and deposit info. 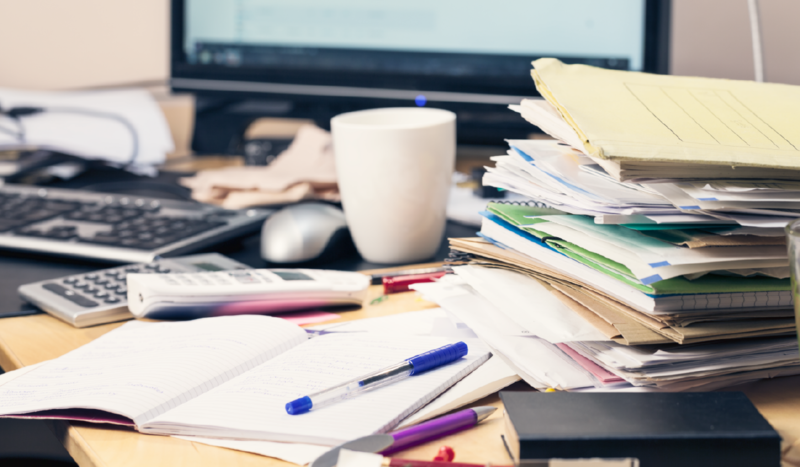 Poor record keeping and organization can increase the likelihood of mistakes when doing payroll, but it’s also incredibly time-consuming. Nearly a quarter of all small business owners spend at least six hours a month dealing with payroll. Having a time tracking software that’s integrated into any payroll management software eliminates the human aspect of payroll management and instead uses a fully automated system for accurate payroll and proper documentation to address compliance. As an added bonus, these tools significantly reduce the time spent managing employee schedules, timesheets and payroll from hours to minutes per month. Preventing payroll mistakes (and potential future litigations) can be as simple as giving your employees the tools and processes needed to communicate with you and your managers about any payroll inaccuracies. If your employees catch payroll discrepancies, have a formal process in place so they can report these issues and more importantly, you can quickly resolve the discrepancy before they become bigger problems (i.e. litigation). Use an easy communication tool or payroll discrepancy form where they can notify you or your managers on any timesheet or payroll errors. Time and attendance tools can also allow your employees to review and verify their hours worked when they clock in and out which provides a layer of attestation protection for the business. Managing payroll manually or in-house renders your business vulnerable to payroll fraud such as identity theft and misappropriation of funds. 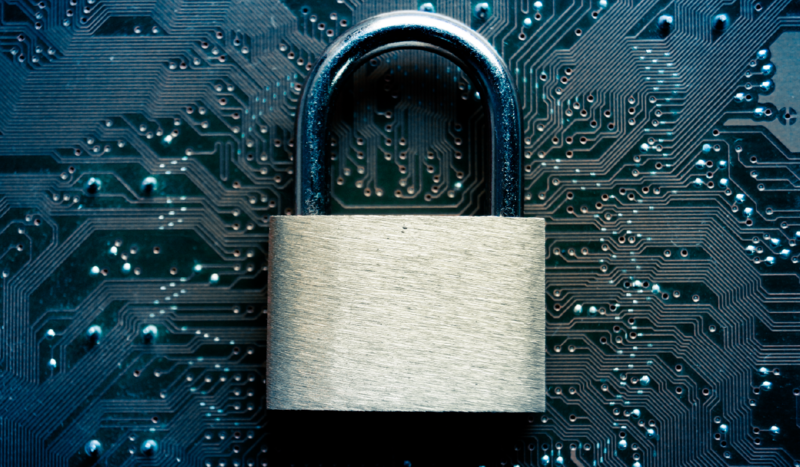 Fraudsters from an outside source can also steal employee tax and salary data if the business doesn’t have proper safeguards in place. Using cloud-based solutions for time tracking integrated with payroll services can mitigate security risks, as these providers have advanced security measures in places such as two-factor authentication, data encryption, and security certifications to ensure your data is properly stored and protected. Additionally, most payroll providers have built-in security features that can alert your business of payroll fraud. The post How to do payroll and avoid mistakes appeared first on Deputy. Consider also outsourcing to an accounting or a payroll company to ensure tax payments are made on time and the complexities of the local, state, and federal mandates are properly managed so your business can stay compliant. If your employees catch payroll discrepancies, have a formal process in place so they can report these issues and more important, you can quickly resolve the discrepancy before they become bigger problems (i.e. litigation). Use an easy communication tool or payroll discrepancy form where they can notify you or your managers on any timesheet or payroll errors. Using cloud-based solutions for time tracking integrated with payroll services can mitigate security risks, as these providers have advanced security measures in place such as two-factor authentication, data encryption and security certifications to ensure your data is properly stored and protected. Additionally, most payroll providers have built-in security features that can alert your business of payroll fraud. The post 5 Ways to Prevent Payroll Mistakes appeared first on Deputy. Wages spend can be a complex beast! If you’ve got Awards, Enterprise Bargaining Agreements, and Individual Agreements to manage the overheads can be pretty intense. Of course you also have to manage rosters, timesheets, leave requests, and timesheet approval, and getting any of this wrong, can really come back to bite you, not only financially, but with staff morale as well! There are several processes which are key to delivering the best results from your wages spend, and we’ll look at three of them below. Your rostering HAS to be done to a budget! This seems like a no brainer but you’d be amazed how many organisations that I speak to that not only don’t have a payroll budget for each period, they don’t have a well-defined roster! Your rostering process has to take into account several things but it starts with budget. Whether it is departmental managers, or supervisors who are responsible for their budget, they have to know what it is, and manage to it! Once you’ve budgeted, you need to assign the right people, to the right work! It’s no good paying a Chef to wash dishes, nor is it a great idea to have the apprentice manage a worksite! Figure out how best to break up the responsibilities of your team into Areas of Work, and roster according to these. Figure out who can do what within your business, and schedule them to do the right level of work for them! Once you’ve got your budget sorted, your Areas of Work and your people assigned to your areas, you’ve got to Communicate your Roster! I know, I know, you’ve printed it out and stuck it up on a wall in the office or on the job site, but that doesn’t count! For every single one of those rosters that I’ve seen, I’ve seen scribbled corrections all over them, and people who have swapped shifts left and right without regard for your meticulously worked budget! Make sure you get an electronic form of communication for your staff so there’s one copy of the roster, that everyone has and stays up to date with any changes. Again, if you’re thinking email, don’t! It needs to be a live calendar! Timesheets are a pain. Everyone hates doing them and most people do them as close to the end of their pay period as they can get away with, and let’s be honest, if you’re doing two weeks of time sheet entries on a Friday afternoon, do you really remember whether you finished at 5:30 or 6:30 last Tuesday? Set a process with your timesheets that make them real time! 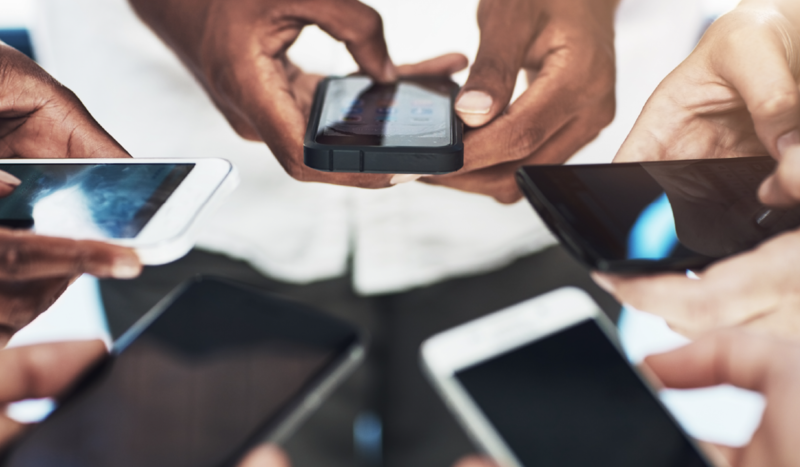 Whether it’s signing in on your phone, at a mobile kiosk or even at the cash register, real-time timesheets are the key to making sure that your staff record exactly what they’ve worked! So, the only thing worse than filling out your own timesheet, is signing off on a dozen timesheets as a Supervisor. This gets even worse when you have to chase people to get their timesheets completed, and even worse when you can’t be sure if those timesheets are 100% accurate. With paper rosters, crossed out shifts, swaps between staff members, and timesheets that don’t match, supervisors are on a hiding to nothing! Set up your processes so as to make it easier on your supervisors. Setup your timesheets to automatically approve submissions that match the rostered time. Allow Supervisors to approve overtime, but require that they do so within a budget. Many of our clients require that overtime is approved in advance of it being worked, and unauthorised overtime is simply not allowed. As strict as this seems, it simply means that you never get to the end of a payroll period and have a spike of 300% in your spend. And YES, some of our clients have literally had 300% overtime bills. So there you go, Get your Rostering, Timesheeting, and Signoff processes defined and digitised, and you’ll be ahead of the game in minimising your payroll pain! 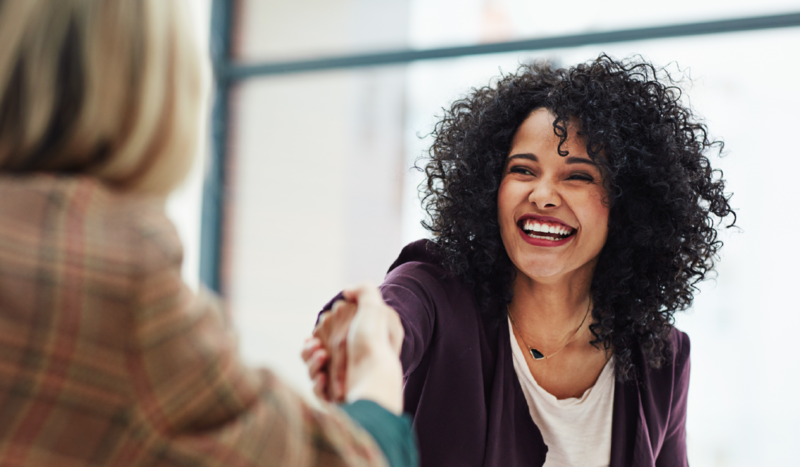 Employee Sync: When you hire new employees and onboard them in ADP their accounts can be automatically created in Deputy, eliminating double-entry and allowing you to get scheduling ASAP. Payroll Integration: We can also save you time by automating overtime and allotment of hours to employees for easy payroll (it all happens via our new over the air integration with RUN Powered by ADP® and ADP Workforce Now®). Now you won’t need to download an excel or CSV file or make any manual adjustments! So, why are these integrations for ADP important? Well, as a business owner you would otherwise spend more than half (55%) of your time on admin and non-revenue driving work (according to a 2016 survey conducted byHarris Interactive). So if you want more time for driving the business forward you’ll want to streamline your systems wherever possible. Our new integration will do just that: we can help you reduce admin time by up to 80 percent so you can get on with the real work of growing your business. Previously ADP users needed to download a flat file (excel file or CSV file), then import it in manually into ADP’s system — now you can click a button and the new integration send the hours over-the-air. All types of overtime are automatically calculated based on the option you select when exporting. All you need to do is match the employees in Deputy and ADP using their payroll ID. To learn more about how it all works, check out our helpful training guide HERE. 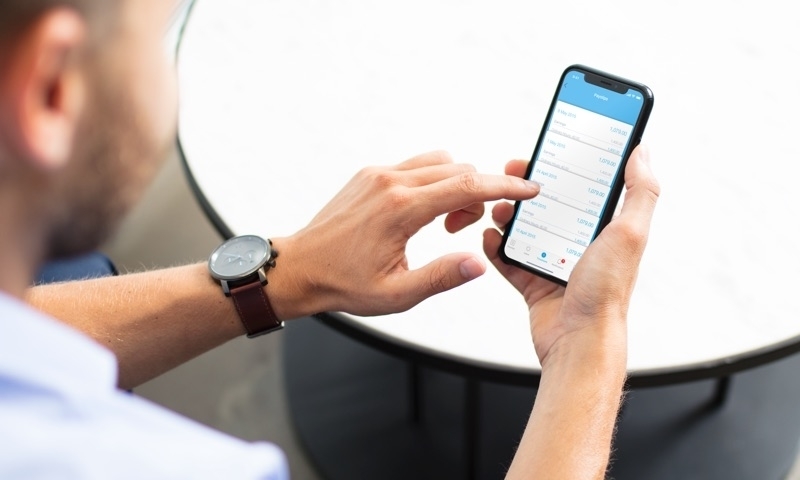 Deputy makes leading employee scheduling and time and attendance technology that helps ADP customers run your businesses from your pockets with top of the line apps for iPhone®, iPad®, Apple Watch™, and Android mobile devices. For instance, employees can receive and manage their schedules straight from their mobile device, clock in and out for work with their photo, instantly get their tasks for the day, and securely review and acknowledge important business updates to stay engaged. And it’s all cleverly integrated with RUN Powered by ADP® and ADP Workforce Now®ADP Run Payroll platforms. Interested in trying us out and getting synced with ADP? The post ADP Integration for Cloud-Based Employee Sync and Payroll Capabilities appeared first on Deputy.